Arizona Golf Vacations presents the 2015 Arizona Golf Overseed Schedule for golf courses offered by Arizona Golf Vacations. Please call us at Toll Free 1-866-218-6941 if you have any questions regarding tee times, availability and prices. 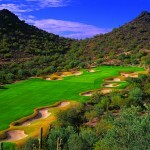 Arizona has some of the best golf courses in the county. The question I get from a lot of golfers is when is the best time to travel to Arizona to play the courses while they are in good shape? Quintero Golf Club officials have put together an Ultimate VIP Golf package for the golfer who wants some adventure and a way to get to the golf course in style, which includes a foursome of golf with luxurious helicopter transportation to and from the golf course. 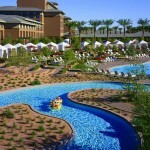 The Westin Kierland resort is offering great Summer and Fall/Winter promotions with breakfast included for two per day at Nellie Cashman’s restaurant and either a 3rd or 4th night free through Phoenix Scottsdale Golf. 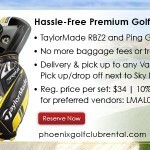 They have multiple selections of today’s hottest clubs that you can rent for just a day or multiple days so that you play the best golf you can while you are out in Arizona. The 2013 Arizona golf overseed schedule is listed below and the dates for over seeding maintenance on all golf courses in the Phoenix, Scottsdale area. 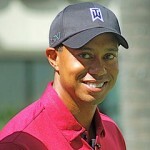 The scale of his achievement in returning to the world No1 spot is testament to the character of arguably the greatest golfer ever lived and is looking back to his best with three tournament wins already for 2013. 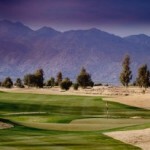 Arizona Golf Vacations features the 2012 Arizona Golf Overseed Schedule. Below is a list of golf courses that are in greater Phoenix area and their dates for overseeding. 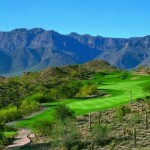 Please click on the course link for more details about the course as well as click on our Arizona Golf Course Map to find all courses in Arizona.